The new normal. Or so they say. After six months I still don't know what's "new" or "normal" about this life. The word "new" implies excitement. If something is new, you want it, you run towards it, you smile as you reach out to receive it. Put the word "new" in front of anything -- car, puppy, house -- and who would turn it down? We embrace the "new". We love the "new". “Normal” is the stuff that never changes. It's the thing we hardly notice every day, but we expect it to be there. Normal represents all the assumptions we have in life. The alarm will wake me up. The hot water will work. The car will be in the garage. We don't think about normal, because normal just happens. If we had to make normal happen every day, it would be exhausting -- so normal has to occur on its own. Normal has to take care of itself. So when you put the two words together -- the “new normal”, it simply doesn't compute after losing a true love. Life is not exciting like a puppy. Nor is life normal like an alarm clock. It's quite the opposite. We need a new phrase to describe life-after. One that describes how it feels to be floating aimlessly through life -- carried over waves like a boat adrift at sea. Or a phrase that describes how it feels to be walking in the dark with arms stretched out desperately feeling around for a light switch. Or maybe a phrase that describes the sensation of constantly seeing flashes of light -- memories that pop up for every reason and for no reason at all. That's what this life feels like. While the sadness is not as close to the surface as it was and the tears don't flow as constantly as they did, I have not arrived at new normal. Grief is a constant which is sometimes a whisper and at other times a marching band. It is quieter at work and louder when driving alone. It comes and goes and then welcomes itself back again. It shows up in movies, phrases people say, the sunrise and sunset, passing a golf course, seeing others in love, boarding a plane, drinking a favorite wine -- basically almost every moment one can imagine. Grief will pop in and say "Hey! Doesn't that remind you when he..." or "Hey! Didn't you love when he...". It's like a little kid who constantly taps you on the shoulder wanting something -- simply never ending. Grief is also a passageway -- a long tunnel that twists and turns when you don't expect it. You know that there is an eventual end but you have no clue where it is. You want out but you know it's not possible to escape. You can see cracks of sunlight and sometimes fresh water seeps in that you can drink, but it's fleeting. Sometimes you feel like you are going backwards or in circles because there is no map or GPS. Sometimes you sit and watch others move past you. Sometimes you get the strength to lead the way. Most of the time you take one step and pray that it won't be much longer. This is not new or normal. It's a complex twisted messy experience, and unfortunately grief likes being that way -- it's never gonna change. So let's reassign “new normal” to a new duty to be used in happier times like the birth of a baby or buying a vacation home. 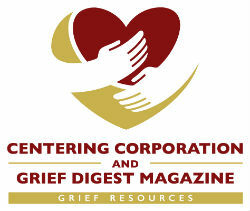 And let's think of grief as a journey through really tough terrain that hopefully gets a little smoother. Let's call grief what it is. By day, Kimberly Smith is Senior Vice President of Programs and Research with the Network for Teaching Entrepreneurship the global leader in youth entrepreneurship education. After the sudden loss of her fiance in 2016, she began writing about her grief experience to help others connect to the pervasive and raw emotions of grief. She is an Aspen-Pahara education fellow. She received her M.B.A from Johns Hopkins University and Bachelors of Science in Journalism from the University of Colorado at Boulder.